Here’s the scene in Let’s Have A Tree Party! where the animals bunny hop across a branch. 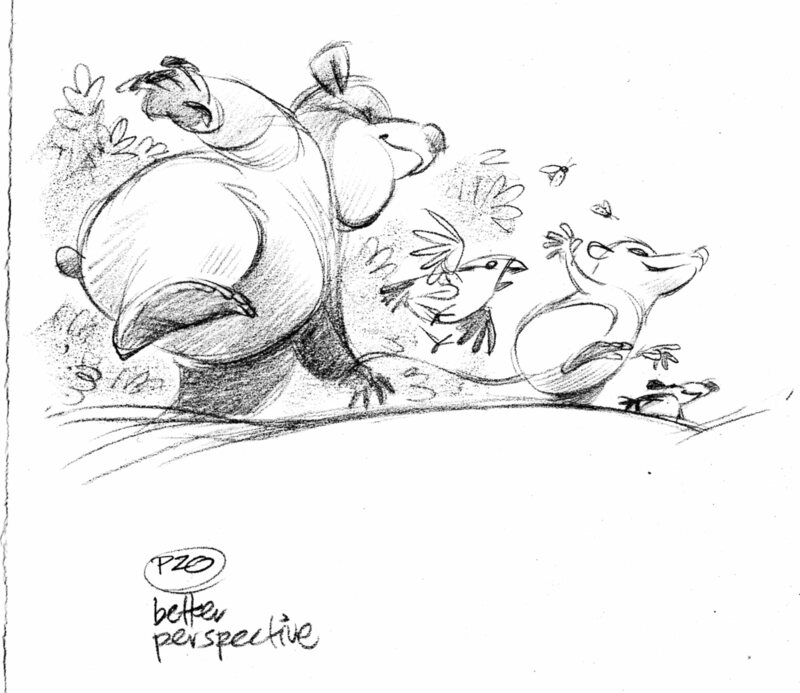 You’ll notice the thumbnail sketch shows a bird’s-eye view. 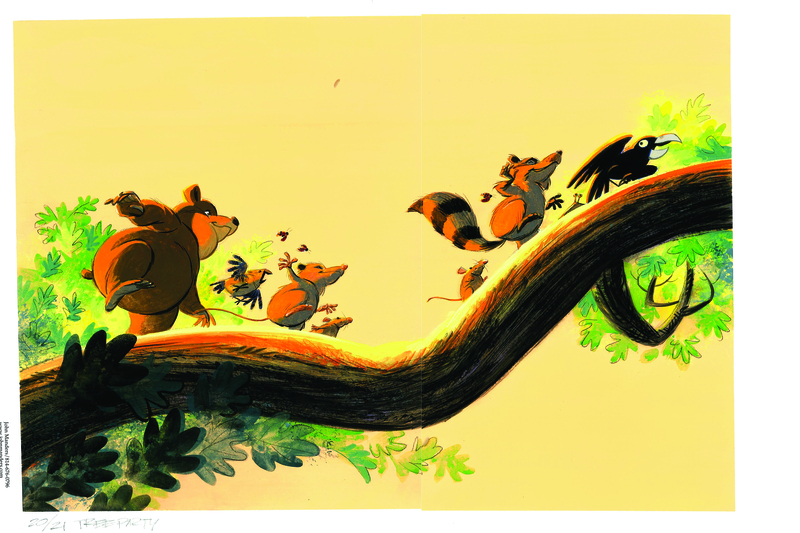 Art director Maryellen Hanley asked me to change the direction of the branch so it would be moving uphill as you read left-to-right. 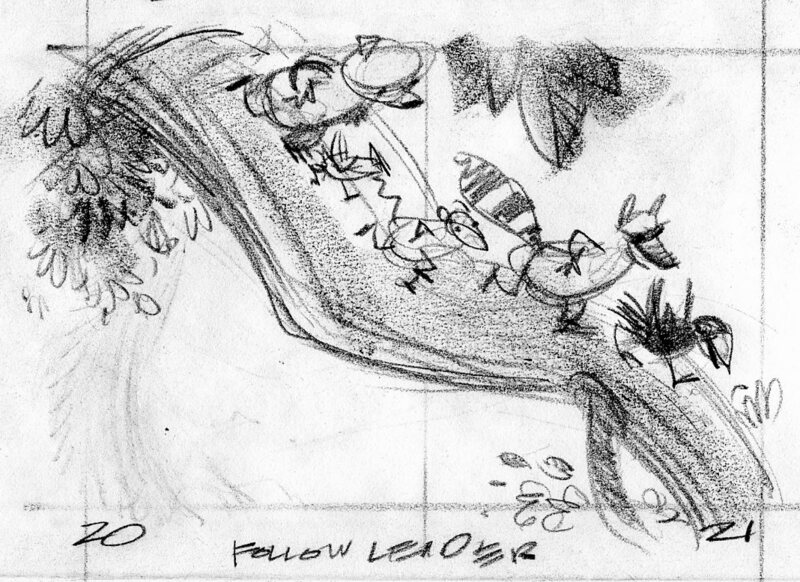 While I was at it I changed the perspective to a bug’s-eye view. The January issue of PSInside arrived—including a well-written article by my pal Fred Carlson about the illustration business in this economy. 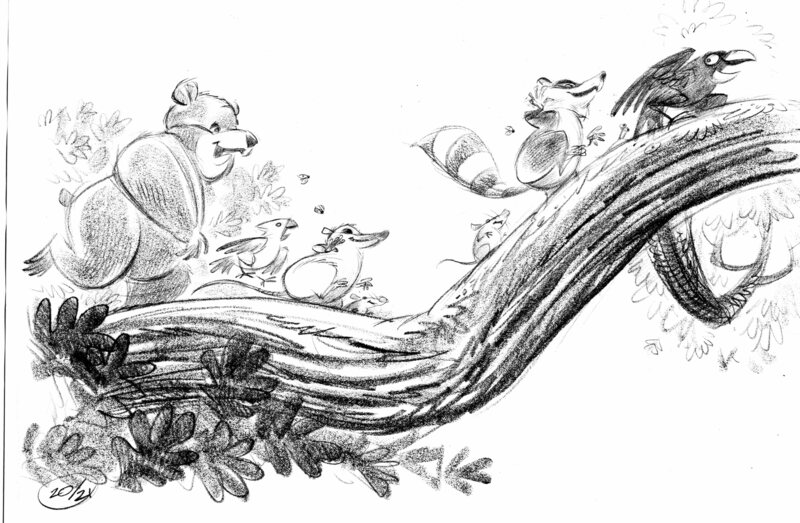 Publishers’ Weekly reviews Tree Party! Let’s Have A Tree Party! hits the bookstores in March. Here’s a very nice review from Publishers’ Weekly for you to read while you’re waiting. My pal Mary Nethery alerted me to this latest review of The Famous Nini. Here’s the Pittsburgh Public Theater As You Like It television spot.